A majority of the triumphs made during the Civil Rights Movement typically were credited to trailblazers such as Martin Luther King and Rosa Parks. However, it was the efforts of countless average citizens that served as the vehicle for the movement. Each group, in their own right, was crucial to the advancement of the African-American lifestyle. However, it was the impact of sit-ins, freedom rides and marches that truly brought the conflict to the nation’s attention. U.S. Rep. John Lewis, an influential face in the civil rights battle, attributed the success of the protest to “redemptive suffering.” In his book, “Walking with the Wind,” Lewis concluded that “the purity of unearned suffering is a holy and affective thing.” This served as an unspoken “theme” to the nonviolent protests, and also to the disproportionate and brutal violence towards the protesters. 1960 saw the rise of the sit-in campaigns, which mainly took place in restaurants. Mainly organized by students, whose goal was to peacefully protest the segregation amongst customers in such establishments, and the results were oftentimes violent. The sit-ins commonly caused quite a scene for the white patrons who witnessed them, some even confronted and physically assaulted the protesters. As nonviolent activists, these students took the violence in stride and most were eventually removed from the restaurants. When the police got involved, the violence tended to get increasingly worse. An example of this brutality was viewed across the country as the assaults were broadcast on television. Americans witnessed police officers beating, hosing and even calling K-9 dogs on young adults who were trying to raise awareness for their cause, one that every American took for granted: freedom from oppression. Things were taken one step farther when a group known as the Congress of Racial Equality, or CORE. 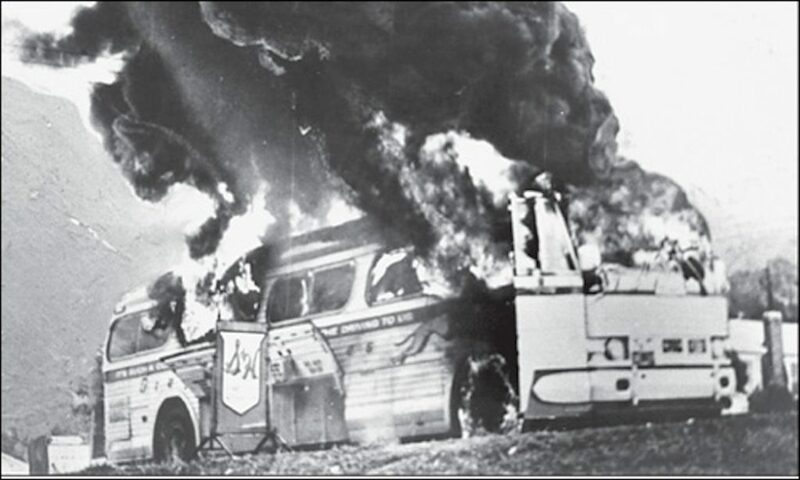 CORE took their message on the road and started “freedom rides.” By traveling across the Southern states, Their goal was to stage sit-ins at bus terminals that were also segregated areas. Unfortunately, the freedom riders were met with hostility and at one point, the Ku Klux Klan terrorized a bus traveling through Alabama. For as dangerous and unsuccessful as some of the freedom rides went, the movement’s resolve was only strengthened, and the drive inspired other groups to form as well. Around the time of the freedom rides, another organization made headlines and was known as Student Nonviolent Coordinating Committee, also known as SNCC. The group was equally as motivated by the Civil Rights Movement and spent much of its time attempting to compel the local governments to grant African-Americans the unfettered right to vote. SNCC, also comprised of mostly young adults both black and white, marched to express their unity and dedication for what they believed to be a rightful access to one of America’s most celebrated freedoms: the right to vote. Through various trips to courthouses and city capitols, including Washington, D.C., protesters civilly attempted to register to vote and were denied every time. As was the case in the freedom rides, every march and protest resulted in police force and mass violence towards those involved. One of the most horrific, and consequential incidents was in reaction to a series of marches from Selma to Montgomery, Alabama. The march was led by Martin Luther King and other SNCC leaders, including John Lewis, with their sights set on Alabama’s State Capitol. On a day known as “Bloody Sunday,” 600 men and women marched across the Edmund Pettus Bridge which connected Selma and Montgomery. As they neared the other end of the bridge, a group of policemen and state troopers gave a cease and desist warning, then subsequently attacked the activists. What resulted was mass carnage as the mob of police relentlessly beat and chased every marcher back across the bridge. Thirteen people died in the attack and the event was featured in the press heavily. President Lyndon B. Johnson took action shortly afterward, first introducing a voting rights bill then later sending in the National Guard and others into Montgomery to ensure that the march would resume, and the protesters would reach their destination. Future efforts began the reform and subsequent rescinding of many segregation and Jim Crow laws, leading to inclusion of African-Americans in the most basic human rights that were stripped of them since the abolition of slavery a century prior. During America’s most despicable and shameful periods of time, it took a revolution by like-minded people determined to change the country’s consciousness regarding racism and persecution. The actions of activists in CORE and SNCC channeled that determination, justice to the masses. Their spirit lives on and forever resides in the hearts of those who are oppressed or otherwise downtrodden.